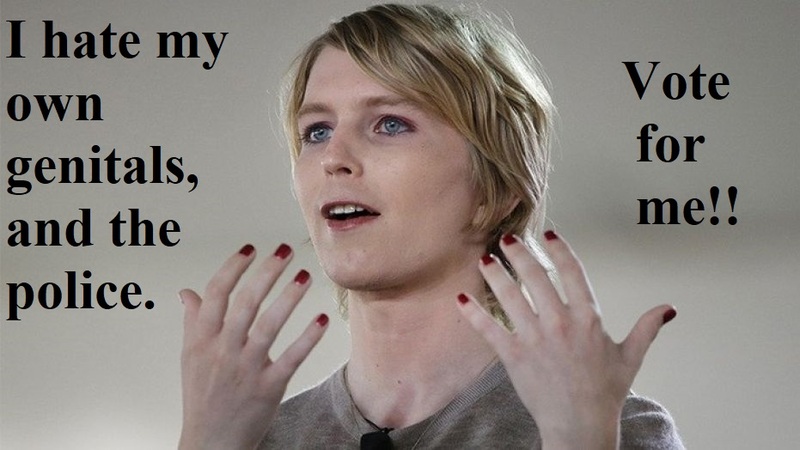 Bradley Manning, traitor, runs for office. I hate getting to this story so late. I like to post on breaking news very quickly. 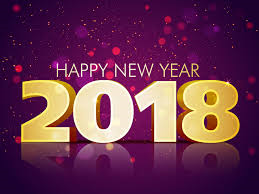 I'm trying to get back into the swing of things and continue my fight against homofascism and transtyranny, with this, my first real post of 2018. Originally, Bradley Manning exposed classified secrets to protest the United States military's policy of "don't ask don't tell." He went on to be convicted of espionage against his own country, motivated by his rejection of heterosexuality. 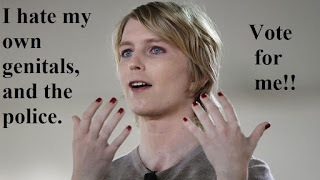 As shining example of those who reject heterosexuality, Mr. Manning has rejected the Word of God, betrayed his own country and countrymen, hates the police that protect his life and the lives of his loved ones, and rejects the biological truth of his own body. My supportive info is here and here. Finally some time to blog. Between the new year, a traveling mother, job assignment changes, (now I get up at 2am!) and getting an adorable lost cat back to it's owner, I finally get time to sit down and blog. I wanted to find a much better video, showing the insane family interacting with each other, but I couldn't find one. I don't like the still-photo videos because there could be so much more. Anyhow, the Corkins award for 2017 goes to the "transgender" family described in the video above. Although the Corkins award was originally set aside for homofascism, I believe it must evolve as the insanity has evolved. I've been so busy I'm just now getting to my neglected blog. I feel I just have to post something about the new year.